I took some time this week to figure out how to rotate just my Dell 2005FPW in an Ubuntu dual-monitor setup. The graphics card is an Nvidia GeForce 6200 LE, and I'm v180.44 of the proprietary binary drivers. 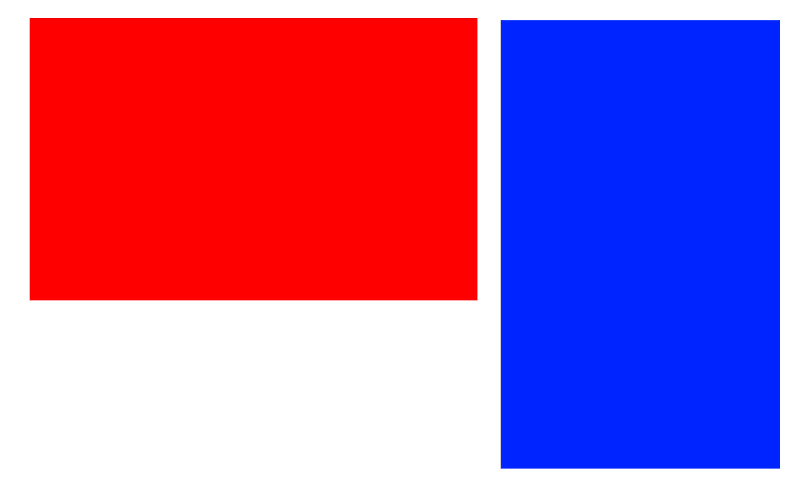 This gives you an idea of the setup I was going for, where the red monitor is the primary, and the blue monitor is the rotated secondary. While I had been happily using Nvidia TwinView, I found that rotating just one of the monitors was impossible in this mode, due to the entire desktop being a single X screen. Instead, I switched to "Separate X screens", and then invoke the "Rotate" option on one of them. I also had to use Xinerama, which is an X extension that allows multiple X screens to operate as a single screen, allowing you to share windows, a task bar and a background between them. Here is the xorg.conf file I ended up with. Most of it was generated from the Nvidia config tool, but then I tweaked it by hand a little. Option         "metamodes" "DFP: 1680x1050 +0+0"
Option         "metamodes" "CRT: 1680x1050 +0+0"
Voila! I can view web pages and edit code in 16:9 vertical, while doing everything else in 16:9 horizontal.